BHG used a gummy octopus for the legs, but I bet you could use fondant to recreate the look if you can't get your hands on some gummy tentacles. 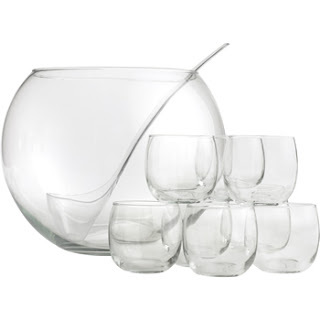 And if nothing else this has solidified my need for a fish bowl style punch bowl. You need it for sea creatures and cute snowmen. these are too cute. great ideas. Oooh! I got that punch set for a wedding present and never really knew when I would use it. These are adorable ideas! Thanks! Adorable idea! We're planning on having a fun under the sea party in August just for fun with all of my kids friends to celebrate the end of summer, and this would be SO cute, and the snowman...ADORABLE will have to do this for Christmas time! Oh my, these are too cute! What a great idea. I LOVE this post!!! How fun!!! Where in the world would you get a gummy octopus? 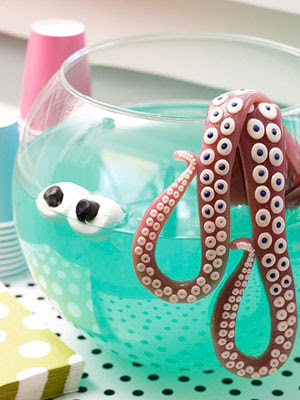 I am toying with the idea of a water themed party for my girls. That would be so cute. That is creepy and awesome and genius all at the same time. I am running out of time! This is so cute! 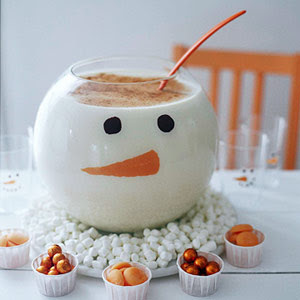 I just added it to a list for a pirate-themed party...it's a great alternative to jello!